It was a gorgeous day yesterday, perfect for grilling and dining al fresco with the boys. I stopped by the meat market and got some steaks, my boys love red meat. 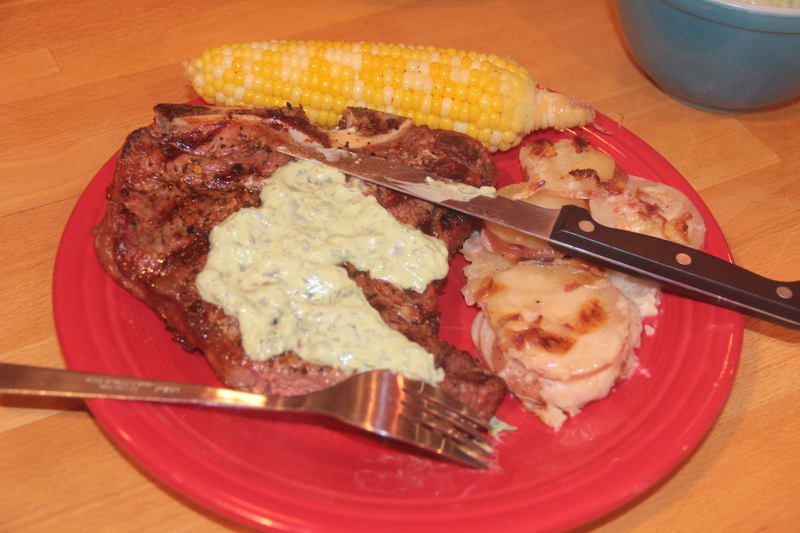 I love the creaminess of Bernaise sauce but I also love the freshness of a Chimichurri sauce. For those of you who are not familiar, Chimichurri is an Argentinian sauce made from fresh herbs, oil and vinegar served with grilled meats. 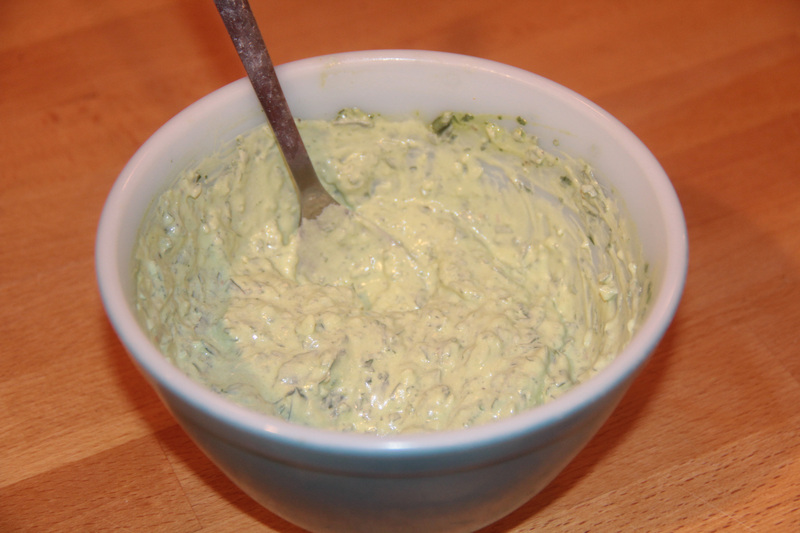 Since my herb garden is overflowing with flat leaf parsley at the moment, I decided to try and make a creamy Chimichurri sauce to combine the creamy and the fresh. It was a huge hit and I will be making this again, I want to try it on chicken next. Put oregano, parsley, garlic, salt and red pepper into a food processor, pulse a couple of times to chop up , then slowly pour the oil and vinegar in while the machine is on. The herbs and garlic should be well chopped and combined with the oil. Scrap out the contents from the food processor with a rubber spatula into a small mixing bowl. Add sour cream and lemon juice and mix together. Cover and chill for at least 1/2 hour to let the flavors meld, stir and serve with your favorite grilled meats, would also be a great topping for a steak sandwich.